HÀ NỘI — Prime Minister Nguyễn Xuân Phúc met with US President Donald Trump in Hà Nội on November 12, during which the latter expressed his pleasure in meeting the Vietnamese Government leader again. The two sides said they were satisfied with the development of bilateral relations after the US visit by PM Phúc in May this year, particularly in the fields of politics and diplomacy, economics and trade, security and defense, and settlement of post-war consequences. Việt Nam and the US vowed to strengthen relations on the basis of respecting the respective independence, sovereignty, territorial integrity, and political systems of the two sides, for the benefits of both peoples as well as peace, stability, cooperation and development in the region and around the world. The host and guest exchanged specific measures to promote the economic-trade-investment partnership, focusing on building a win-win cooperation framework, minimising trade-investment disputes, and implementing more effectively signed economic deals. PM Phúc said Việt Nam has been improving its business environment and encouraging US companies to invest in the country. He called for stronger coordination to address issues of mutual concern based on promoting trade for mutual benefit. He thanked the US for opening its market to Việt Nam’s star apples and proposed the US consider the import of Vietnamese mangoes and other fruits while simplifying import procedures of the catfish inspection programme and soon launching a working group on the recognition of Việt Nam’s market economy mechanism. President Trump agreed to step up win-win economic-trade-investment cooperation with Việt Nam, and lauded Việt Nam’s effort in handling prioritised trade issues, such as the opening of its market to US farm produce, industrial products, and information-technology products and services. 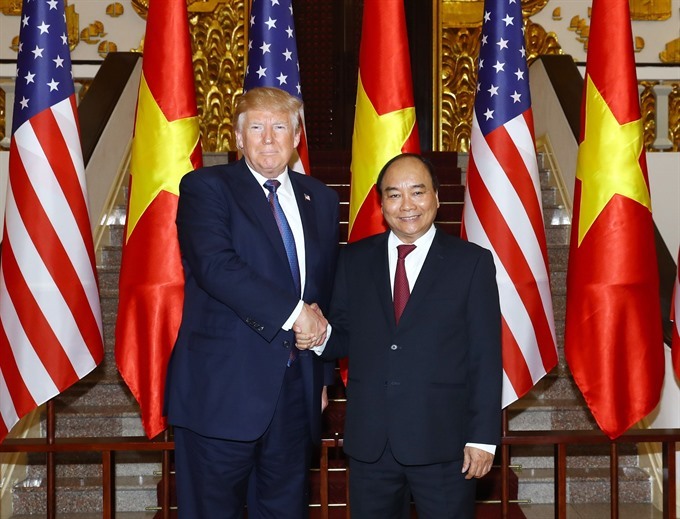 President Trump affirmed that the US will push ahead with cooperation with Việt Nam to promote the bilateral comprehensive partnership in a more practical and effective manner.